THIS IS THE HOME YOU HAVE BEEN WAITING FOR! 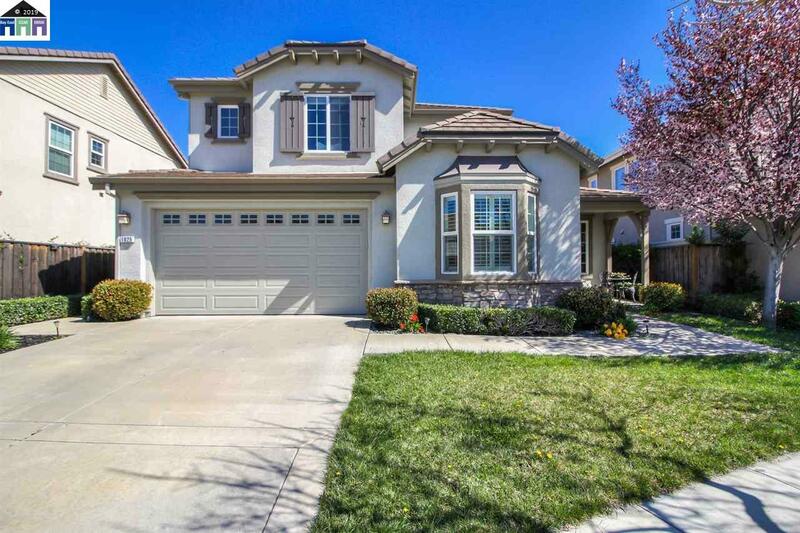 SPACIOUS 4 BEDROOM 3.5 BATH WITH 2,746 SQFT OF LIVING SPACE ON A 5,437 SQFT LOT. NESTLED AT THE END OF A QUIET COURT AND IN CLOSE PROXIMITY TO IRON HORSE TRAIL, POOL, PARK/PLAYGROUND, AND TOP SCHOOLS! WELL THOUGHT OUT FLOOR PLAN WITH 1 BED AND 1.5 BATHS DOWNSTAIRS. OPEN CONCEPT KITCHEN WITH GRANITE COUNTER TOPS, LARGE ISLAND, MAPLE CABINETRY, UNDER CABINET LIGHTING AND PANTRY AREA. COZY FAMILY ROOM OFF THE KITCHEN WITH A GAS BURNING FIREPLACE. BEAUTIFUL FORMAL DINING ROOM WHICH IS PERFECT FOR LARGE GATHERINGS. PEACEFUL LIVING ROOM SITUATED AT THE FRONT OF THE HOUSE WITH PLENTY OF NATURAL LIGHT. MAKE YOUR WAY UPSTAIRS TO THE MASTER SUITE WHICH OFFERS A WALK IN CLOSET, SOAKING TUB, DOUBLE SINKS AND A STANDING SHOWER. MATURE LANDSCAPING WITH AN UPGRADED PAVED PATIO AREA FOR BBQ'S AND OUTDOOR ENTERTAINING. 3 CAR GARAGE & MUCH MORE! DON'T WAIT!